Today's challenge was to draw my computer. What is a computer? Wikipedia defines it as a general purpose device that can be programmed to carry out a set of arithmetic or logical operations. By that definition, a computer is not only the desktop computer we're used to, but it's also a mobile device, a digital camera, an ipad, a laptop, a tablet, and more. 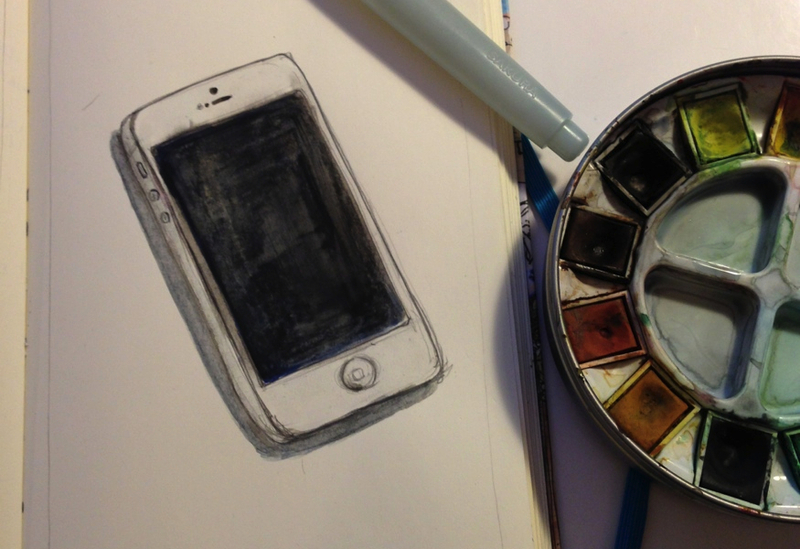 So for this challenge, I sketched my most intriguing computer : my iphone. I'm intrigued by the numerous possibilities and untapped potential of this little device that has 240,000 times more computing power than the Voyager.